Around the world today, young people are being called upon to develop civic competence and carry the burden of forging a political future in the midst of impoverishment, exclusion and inequality. In societies that have experienced civil war, military occupation, mass immigration of displaced people or social conflict, the conditions under which young people attempt to build their citizenship are not well understood. 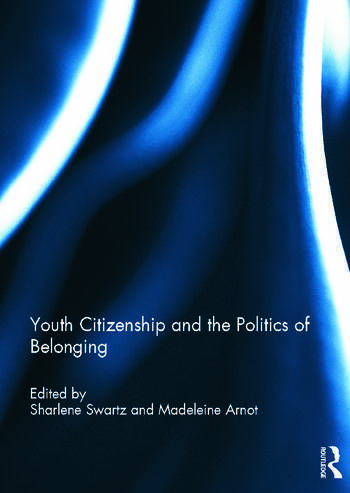 Youth Citizenship and the Politics of Belonging contributes to the field of youth citizenship studies by purposively exploring the experiences of young adults in the context of the formation of nationhood and global citizenship. It explores, from the perspective of various countries, the role of social context and schooling in creating young citizens. This collection offers a unique opportunity to hear the voices of young people themselves who, as ‘learner citizens’ within educational institutions, poor communities and refugee camps, amongst other settings, expose the tensions between social inclusion and marginalization. The book considers young people’s contemporary social movements, their activism and their sense of belonging. It looks at understandings of national, political and religious identities, youth rights, and various forms of state, community and sexual violence as well as strategic coping strategies, their reinterpretations of civic messages, and the ways in which anger, resistance and disengagement put youth in a difficult position. This book was originally published as a special issue of Comparative Education. Sharlene Swartz is Research Director at the Human Sciences Research Council in South Africa and an Adjunct Associate Professor in Sociology at the University of Cape Town, South Africa. She holds a Masters degree from Harvard University, USA, and a PhD in the Sociology of Education from the University of Cambridge, UK. Madeleine Arnot is Professor in Sociology of Education at Cambridge University, UK and is a Professorial Fellow at Jesus College, Cambridge, UK. She is a Fellow of the Academy of Social Sciences and Chair of the Executive Editorial Board of the British Journal of Sociology of Education.